At Alberta’s Centre for Learning @ Home, we are obviously big fans of Internet classes. Although we had thousands of students who took courses by mail before the advent of online learning, we are excited about the new opportunities that have come with Internet learning options for students throughout the province. 1. They allow for a more flexible schedule. A good number of our students pursue online learning simply because they are so outstanding in other areas of their lives. Some are training for competitive athletics, for example, while others have daytime commitments that keep them away from traditional schools. No matter what the reason, online learning can be the perfect answer for the student or family who needs an alternative to “normal” class hours. 2. 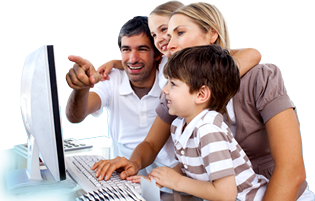 Multimedia aids that make learning easier. As we have mentioned in the past, there is a growing feeling that interactive tools may make some subjects – and especially math and science – easier to learn online than they are in a classroom. Since these tools are only getting better and more sophisticated, it’s a safe bet that our courses will only become more helpful and valuable in the future. 3. 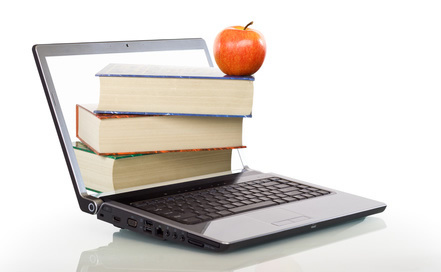 Online courses allow for accelerated learning. Some students come to the Centre for Learning @ Home because they want to make up for lost time or learn at an accelerated pace. With our online courses, they aren’t limited to daytime classroom hours in order to learn. 4. Some students concentrate better in different environments. Every student is different, and some don’t benefit from the distractions that can be prevalent in traditional schools. By allowing them to take their lessons anywhere on a laptop computer, our programs let them learn in times and places when they can most fully concentrate. Of course, these are just some of the best reasons to try online learning. To find out more about how it works, why not contact the Centre for Learning @ Home today? Where Does Faith Fit in With Online Learning?